November on the Stubai Glacier – what to expect? With ski lifts running since September, currently 185cm of snow, numerous big powders already this autumn and pumping après ski on most days – the Stubai Glacier seems to defy the seasons. But what should be expected for an autumn trip to this ski area south of Innsbruck? The 10km ski route to the base-station is already in use. This ski route takes riders from 3210m to 1750m and covers some great terrain. 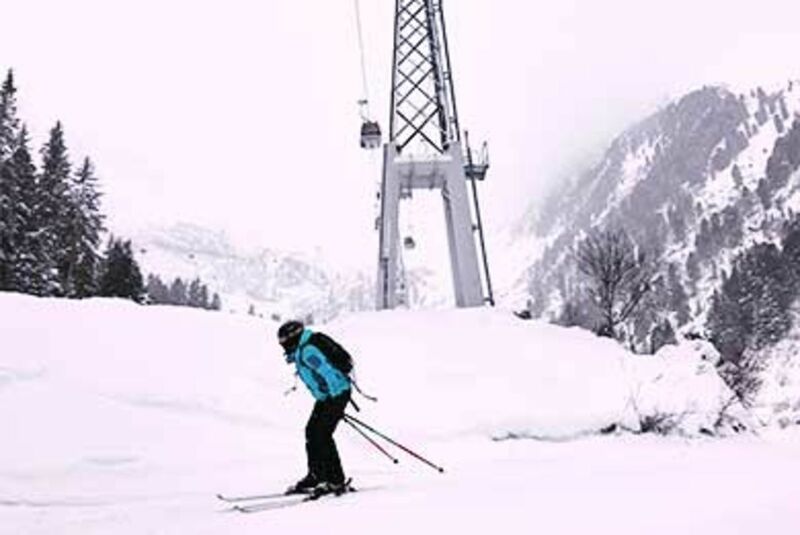 Winters vary but right now most of the ski area is open (but for the odd stormy day) and this isn’t unusual – the height and its location mean that the Stubai Glacier gets a significant amount of winter weather systems at this time of the year. What remains to be opened isn’t significant - essentially the Stubai Glacier is open for business and has been for several weeks. The slopes are wide and whilst there are many race teams on the glacier, the extent of the ski area is impressive, with blues, reds, blacks, ski routes and off-piste all widely available. Destinations are savvy when it comes to marketing but there have been some genuinely epic days so far this autumn, with 60cm powder days on a number of occasions. It is hard to appreciate the snow quality at these lofty altitudes – whilst lower elations can bathe in autumnal sun or wallow in rain, the glaciers are receiving dry powder and it often stays this way through to the spring. In October and November, expect anything from knee deep powder to squeaky corduroy. Neustift im Stubaital is the main resort of the Stubai valley and at this time of the year it is busy with weekenders and visiting ski teams. In many respects, Neustift is in peak season as it offers some of the best (and only) skiing in the Alps at this time of the year. Further north, Innsbruck is within easy reach of the Stubai Glacier and offers a fantastic base from which to ski on the Stubai Glacier. Innsbruck is a year-round city, capital of the Tirol and an outdoor-sports Mecca. The Christmas markets are in full swing and the pedestrian streets and alive with stalls, bars and restaurants. With an international airport, just a couple of miles from the historic centre, Innsbruck offers so much for a pre-Christmas group event. 22/10/2010 Going to the Zoo tomorrow….